Most conference room projectors are bright, first and foremost. Often, this comes at the expense of color and contrast performance as accuracy is traded for even more lumens. And while this super-bright concept works well in certain applications, it isn't for everyone. Enter the BenQ HC1200. 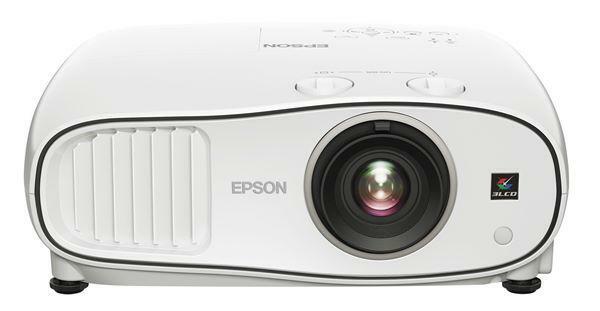 The HC1200 is a novel concept: it's a reference-grade 1080p conference room projector. Instead of maximizing light output at the expense of all else, BenQ engineered the HC1200 for color accuracy and high contrast. Built around the sRGB color gamut, the HC1200 is intended for business applications where a big picture with accurate color is needed; in other words, for those times when a reference monitor is too small for the group you're meeting with. And the HC1200 is built with business in mind, so it has two VGA inputs, monitor pass-through, wired networking, and a laser pointer in the remote - features that are useful in a conference room, but are seldom found on home theater projectors. So whether you work in graphic design, advertising, video production, or photography, you can count on the HC1200 to produce an accurate sRGB image straight out of the box. When I started reviewing the HC1200, I briefly thought we'd been sent the wrong projector. After all, the BenQ HC1200 is marketed as a conference room projector, but the image had accurate color, high contrast, and a balanced picture reminiscent of home theater projectors. Conference room projectors aren't exactly known for their subtlety. And that's the draw of the HC1200, in a nutshell. The HC1200 is BenQ's statement that super-high white light output isn't the only important characteristic in conference room projectors. It offers the kind of color accuracy and contrast normally only found on home theater projectors, but it packages them with the features and connectivity that businesses need. Add a 1.5:1 lens to give it some flexibility and a three-year warranty to give the users some peace of mind and you end up with a unique product that's perfect for those times when light output isn't the single most important consideration. Not that it isn't bright. The projector's most accurate image modes both produce over 2,000 lumens at factory settings, so you don't sacrifice a lot in terms of brightness to get a great picture. The picture in sRGB and Cinema mode is balanced, with bright highlights, strong ANSI contrast, and good color saturation, brightness, and accuracy. These image modes make photographs and video look natural and life-like. Why wouldn't I get the HC1200 for an under $1500 Home Theater projector. Why isn't the HC1200 listed as Home Theater as well as conference? New to projectors please help me understand. I was contemplating the HD26 is there another projector I should be considering. Thank anyone for a response. The unit should work fine as a home theater projector, especially if you have a larger screen - or - like my family- don't like watching movies in complete darkness. Amazon lists it as a home theater projector, since this is the first real projector that can be used for both business and home movies without having to make a choice between one and the other. Joe - we don't recommend the HC1200 for home theater because BenQ also makes the W1070 and HT1075, which cost less than the HC1200, show fewer rainbows, and have picture quality that is just as good as (if not better than) the HC1200. The HC1200 costs more than BenQ's entry-level home theater products and includes features that are of little or no use in a home theater environment. So if you're looking for the best bang for the buck, the HC1200 usually isn't it. Bob - As I said in the review, the difference in light output vs. the HT1075 is only about 15%. You can still use the W1070/HT1075 on a larger screen or with lights on and you'll save a few bucks while you're at it. I'm not sure which rainbows you are referring to My wife is VERY sensitive and hasn't seen any. I have this projector and its GREAT I had the 1075 and minus the vertical shift which is so MINIMAL shouldn't even be there. Much a better placement for this projector compared to the 1070 or 1075 its crazy. BenQ says this projector has motorized zoom and vertical shift controlled by the remote. I don't see this feature reflected in this review. Which is correct? Mark, the HC1200 has manual zoom and focus, and no lens shift. Received the unit yesterday and you are correct. All manual. But otherwise the picture is very impressive. This replaced my HD70 and immediately looks better, quieter, crisper. I chose it largely to fit my existing screen and throw, but so far I'm pretty thrilled with it's performance. I paid for features I don't need but for my setup it was still the least expensive option. I considering to buy HC1200 for outdoor movie watching. My distance to the screen is 24' and screen that I plan to use 180". My friend very happy with 1075 but it has much lower throw ration than 1200. That is why I more inclined to buy 1200 Do I make the right choice? Any suggestions? AVOID BenQ - Hi I have purchased a BenQ MW820ST short throw projector. It is rubbish, it failed on the 3rd time it was switched on, BenQ refused to replace it because it had been purchased 39 days and there warrantee is only 30 days, so I sent it back. It came back 'repaired' and it still does not work. Now they are offering a refurbished projector which I do not want as the lamp life will be completely unknown.